I’ve inadvertently ended up in a couple of geothermal areas of the world in the last six months, from the sulphur pools of Rotorua in New Zealand to the outdoor hot pools of Iceland, so a trip to Budapest had to include a visit to one of the famous spa baths the locals love. It was the Széchenyi Baths that came top of every search, because they’re the biggest, but digging a little deeper I found something a little different inside. 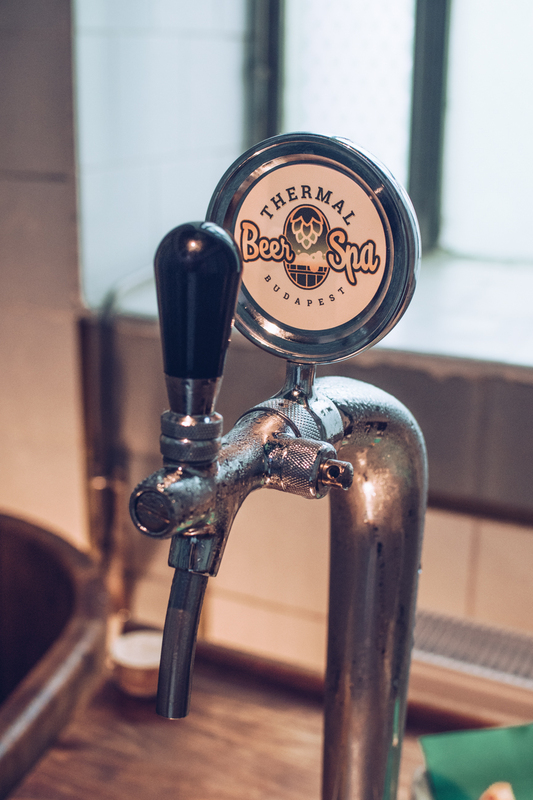 Not just any spa, oh no, THIS is a Thermal Beer Spa*! We got into our swimming gear within the changing cabins of the main baths, walked through the main entrance in teeny, tiny rented towels (I’d highly recommend taking your own instead! 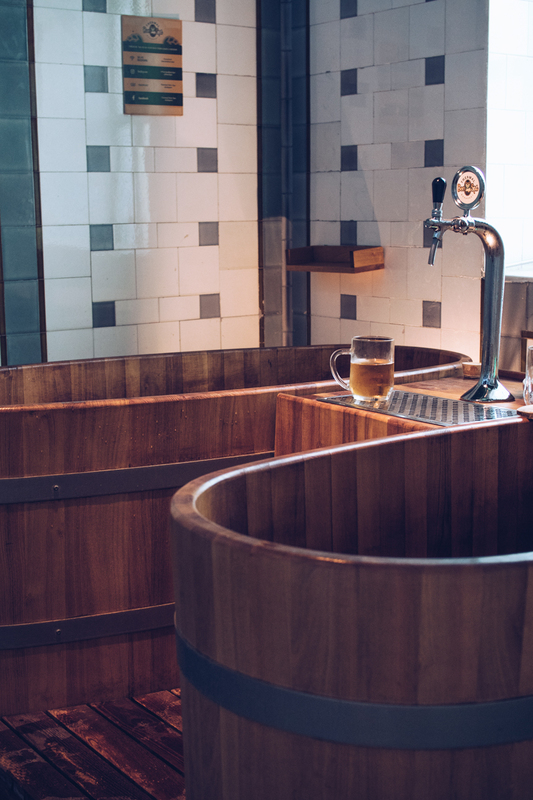 ), and were shown to our two-person tub. I did think it might be a bit of a squish fitting 5ft 10″ me and my 6ft boyfriend into one wooden bath, but each end of the bath has raised seats which meant both of us could stretch our legs out in full and recline in full relaxation. 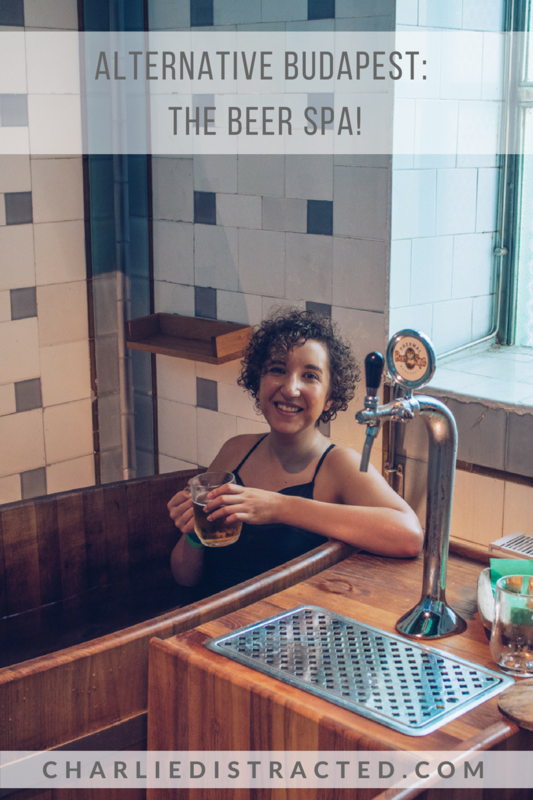 Our bath was filled with warm thermal waters and then a mixture of the key ingredients which make up my favourite boozy beverage. 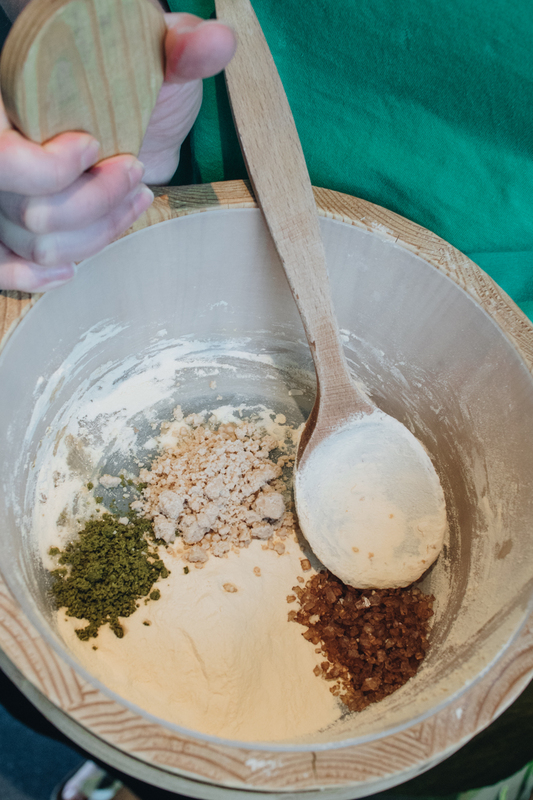 Hops were thrown in for relaxation; malt is full of vitamin B which is great for healthy skin, hair and nails, as is the yeast that’s added in. Finally, is the beer salts, added for effervescence and a delightful smell. 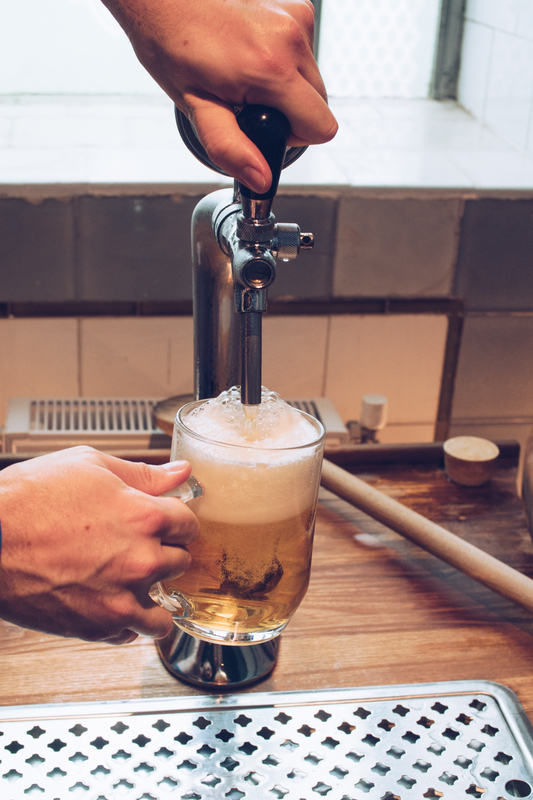 Mixed with a giant wooden spoon, our own private brew was ready for us to sit in and get comfy for an hour. 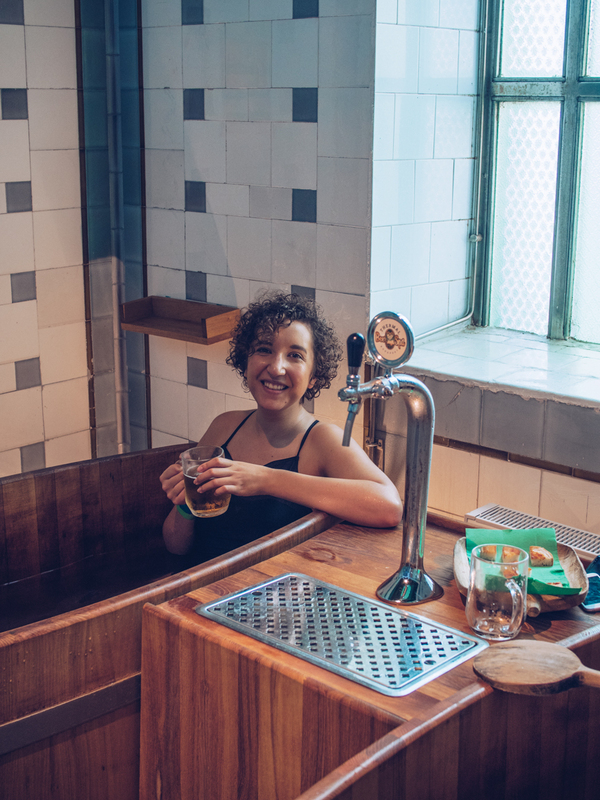 Compared to the baths of Széchenyi, which I found overcrowded and, to be honest, a bit dirty, the Thermal Beer Spa was the exact mix of relaxation and ‘something different’ that I needed after an evening in Budapest’s ruin bars. Hair of the dog AND an hour to legitimately stay horizontal was well worth it.